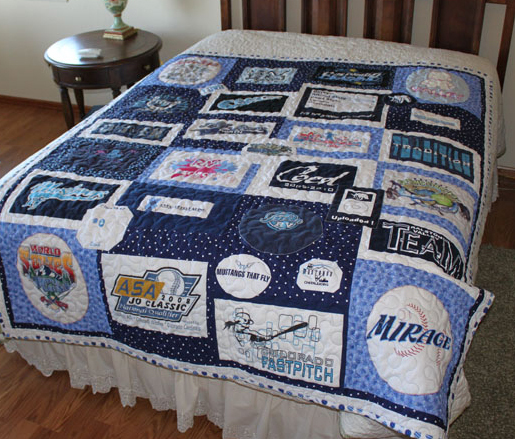 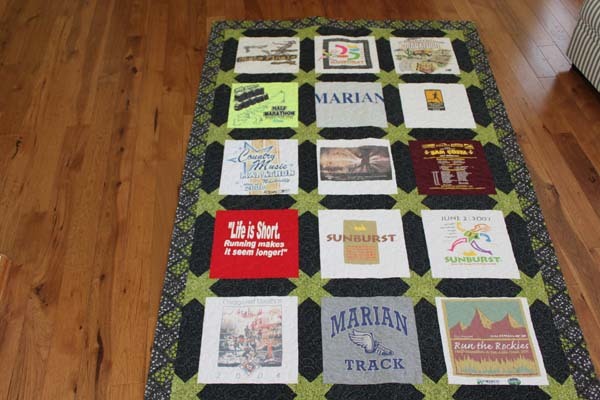 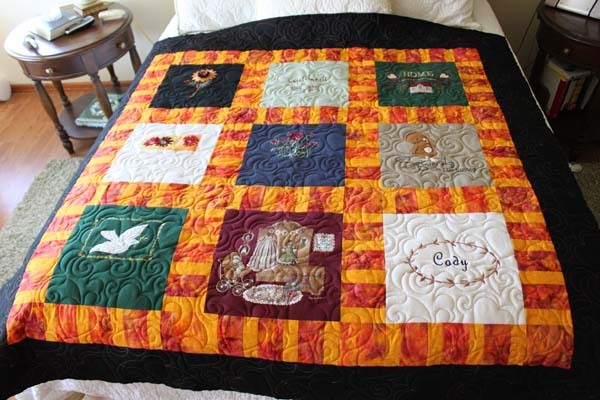 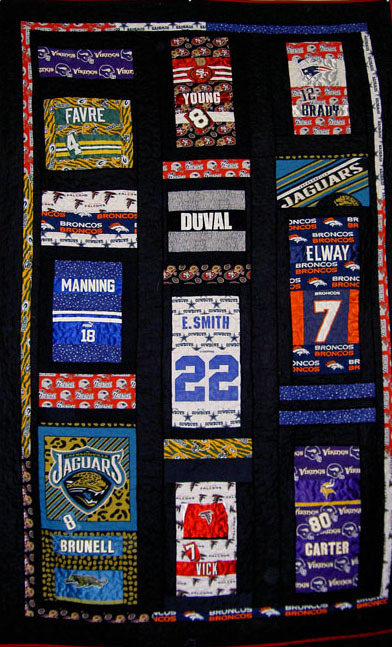 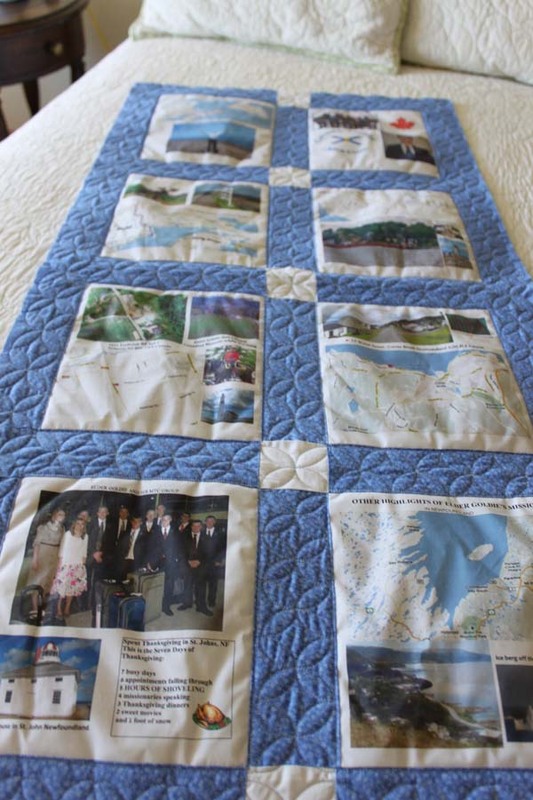 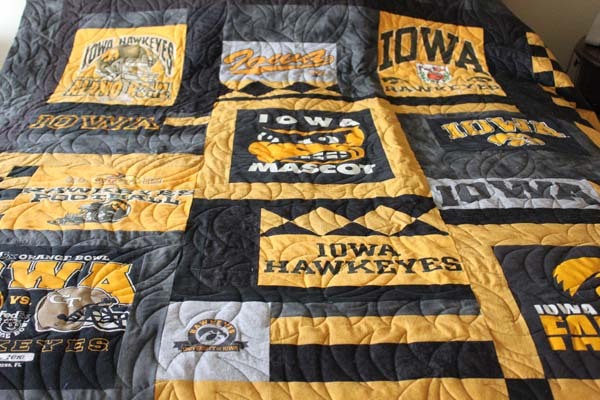 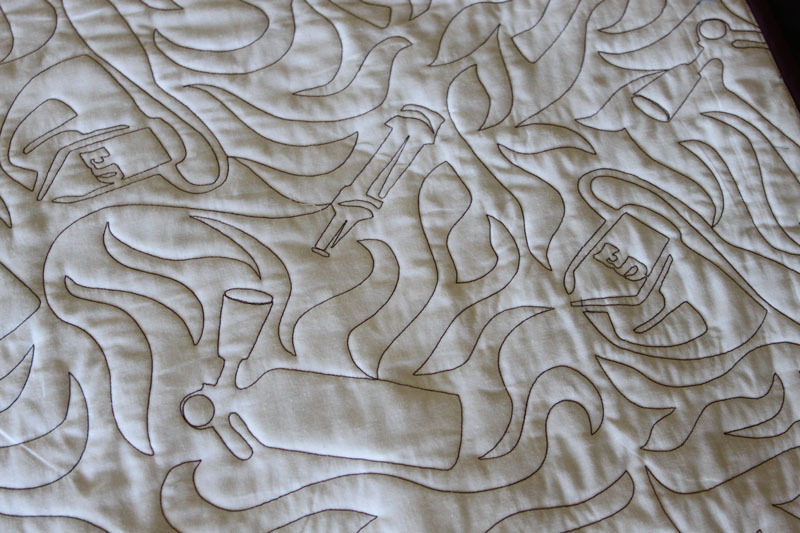 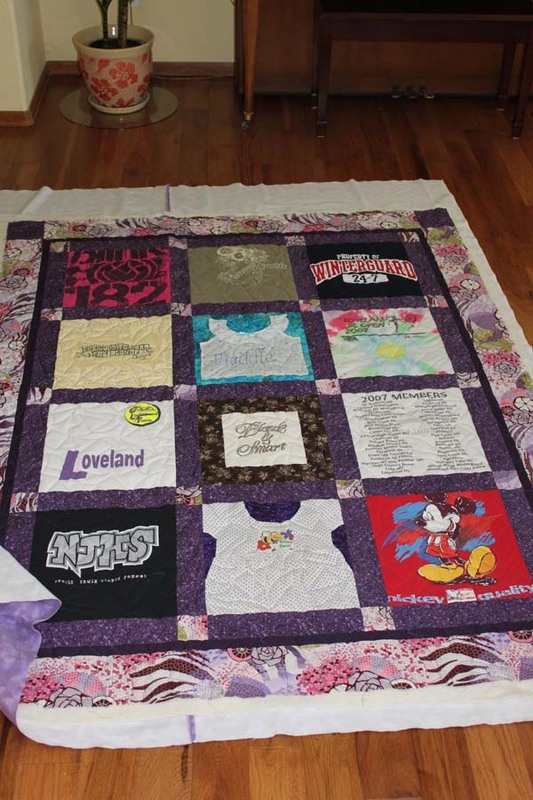 Don't settle for a "run-of-the-mill" t-shirt quilt! 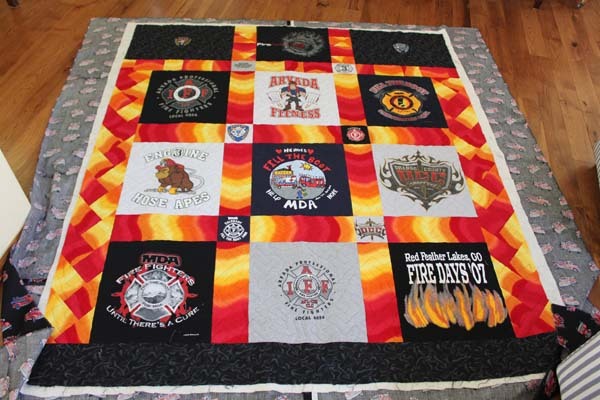 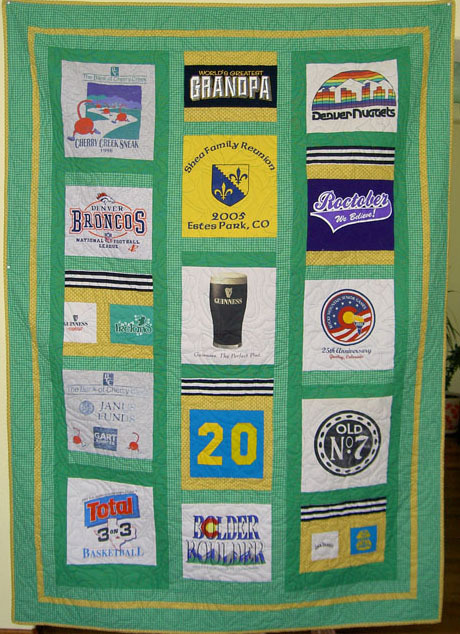 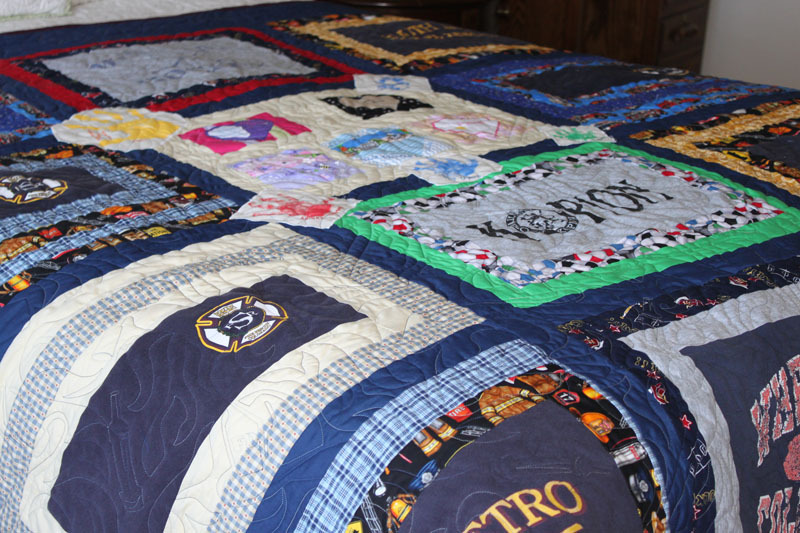 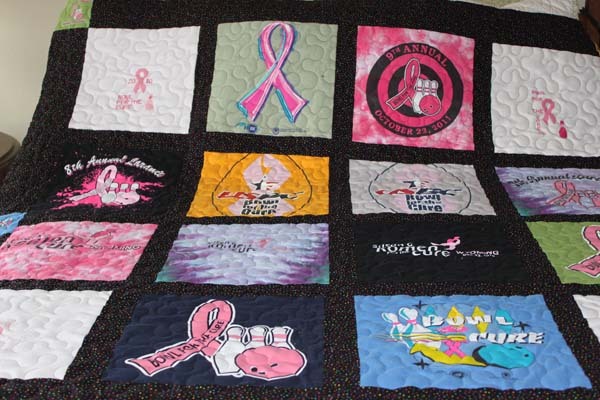 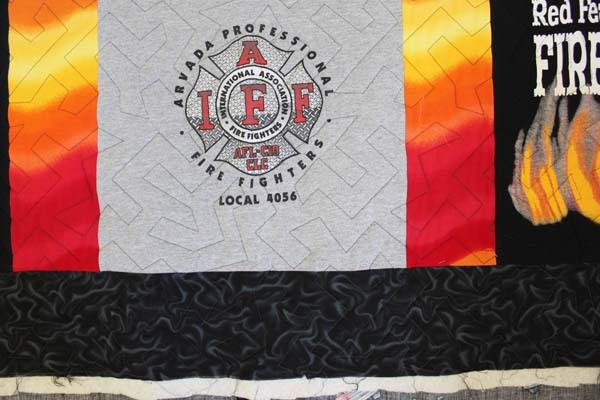 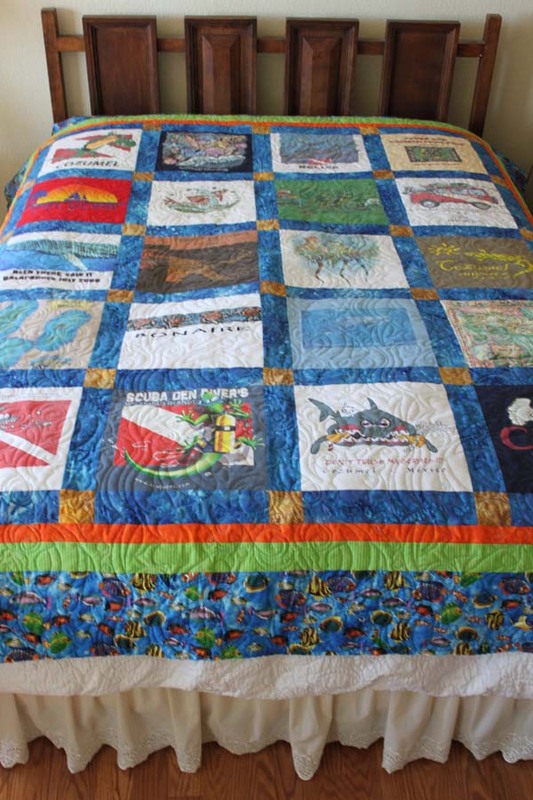 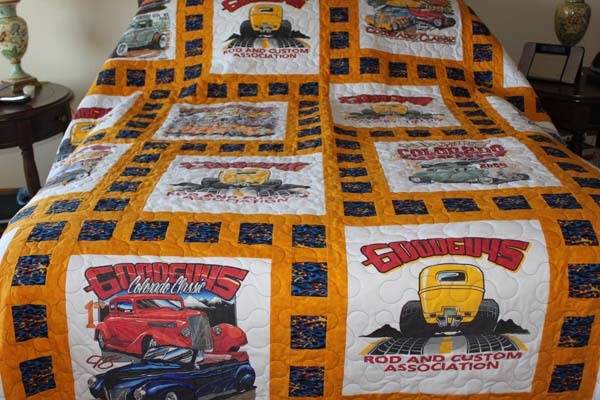 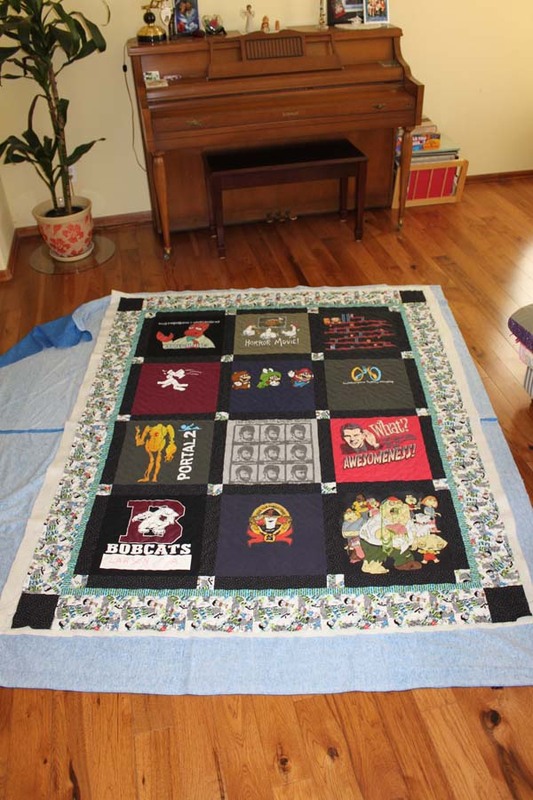 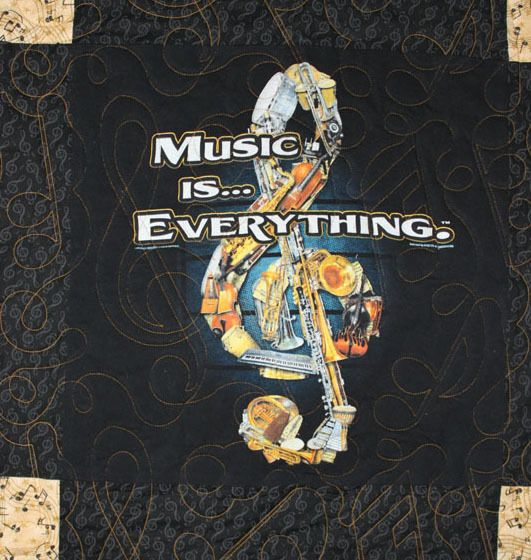 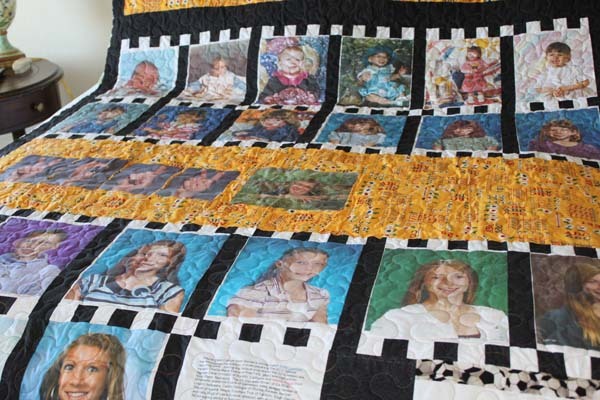 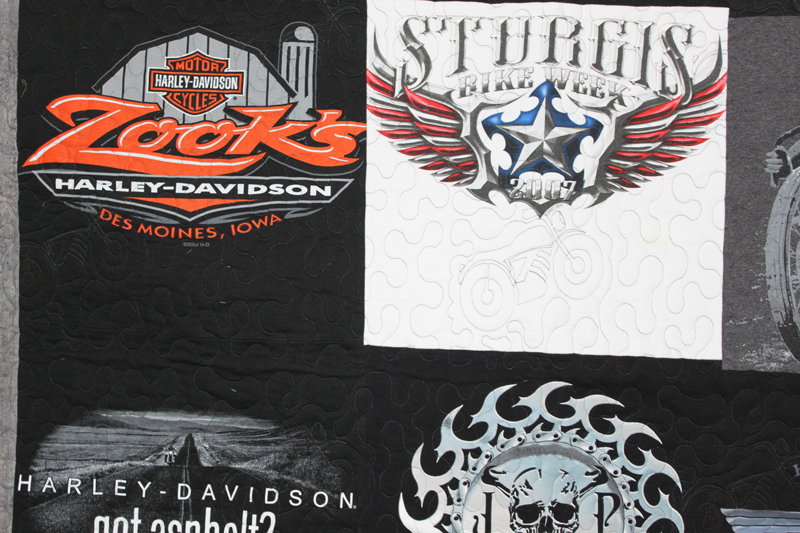 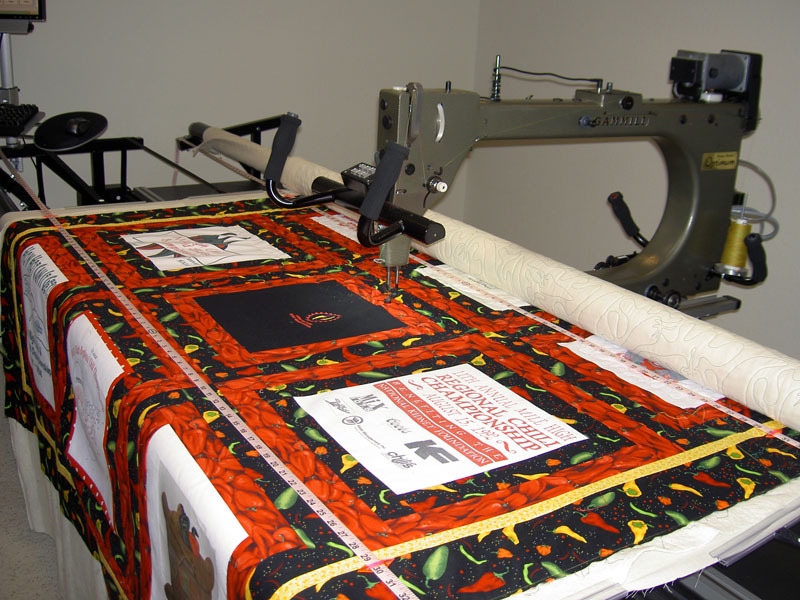 Most often, T-shirt quilts reflect a passion, hobby, or activity that helps define an individual. 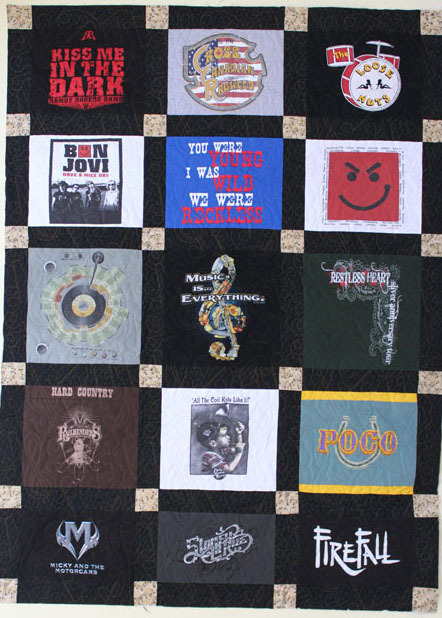 One of the most important steps we take in designing a T-shirt quilt is learning about those passions and how you want them presented. 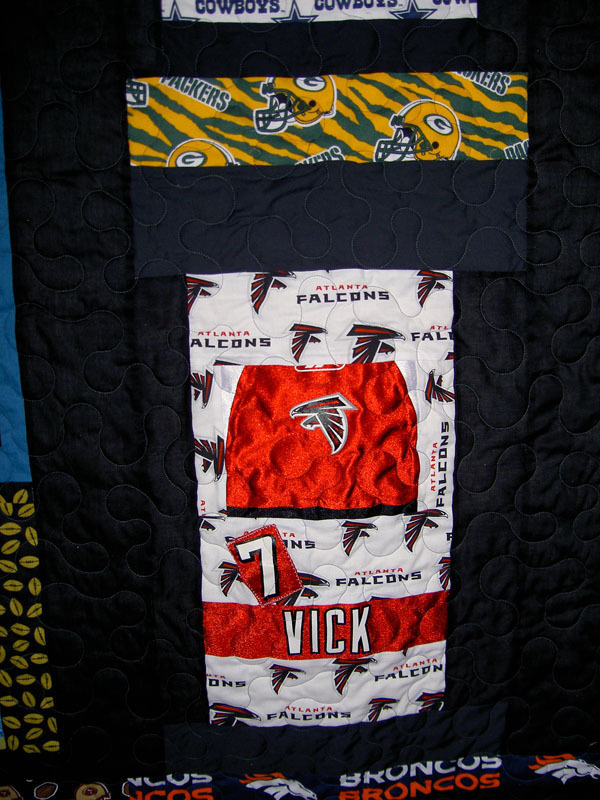 We then produce a quilt based on your desires. 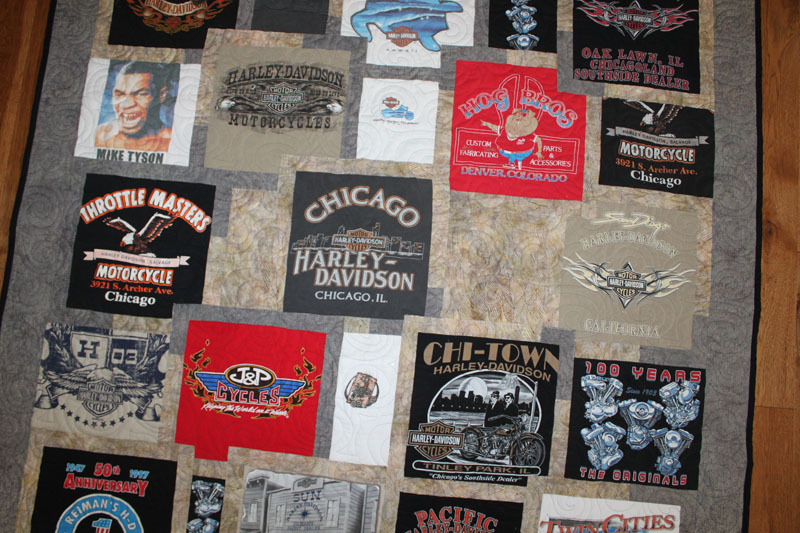 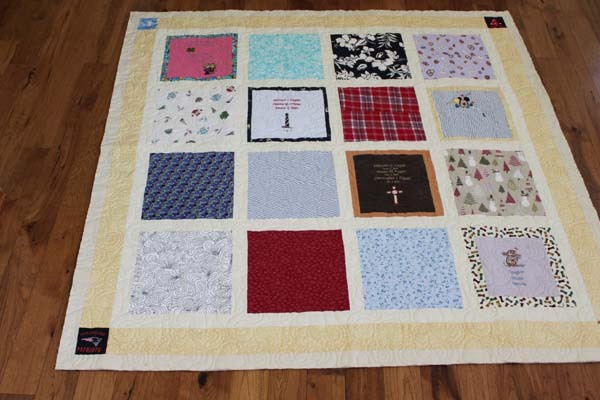 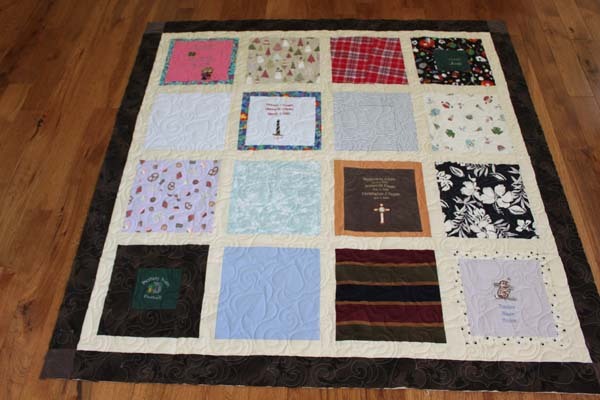 Perhaps you want a T-shirt quilt with the common "window pane" of most T-shirt quilts. 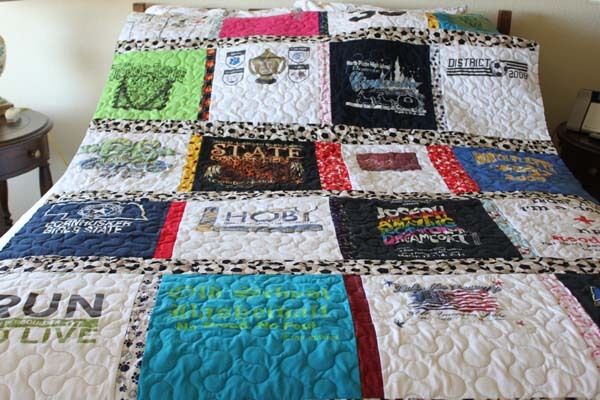 Or maybe you would rather incorporate the T-shirts into quilt that has a more traditional quilt design with a pieced pattern/style of some type. 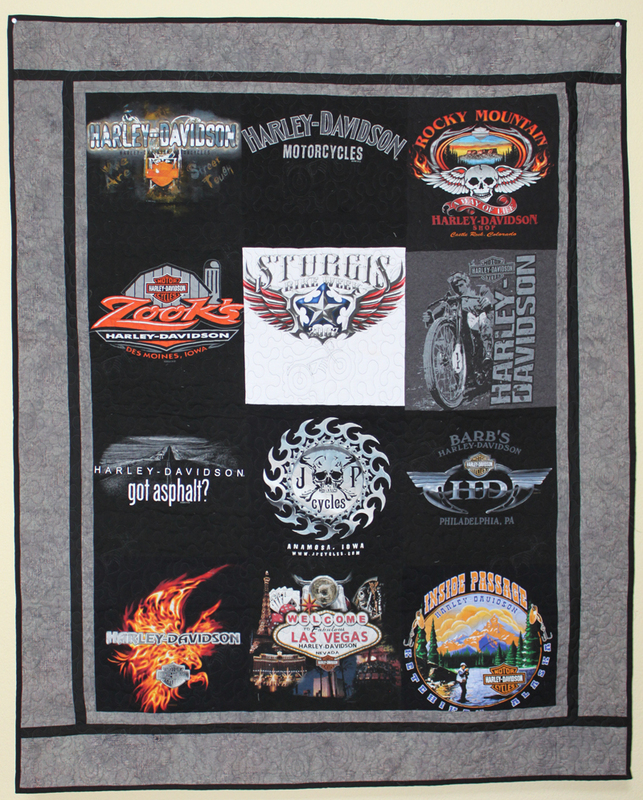 By combining different size cuts and adding in additional fabrics we can provide you with a T-shirt quilt that is truly unique.